Is there any paperwork or document for the mechanical systems of 14276 Highway 41, Cloyne, Addington Highlands, Ontario? I need more information about the property at 14276 Highway 41, Cloyne, Addington Highlands, Ontario. How ist the neighborhood, location and nearby amenities for 14276 Highway 41, Cloyne, Addington Highlands, Ontario? I have questions about the roof, foundation, insulations and mechanical issues of 14276 Highway 41, Cloyne, Addington Highlands, Ontario? I need more information about property details. What's wrong with this house? Is this a short sale? Is there any maintenance for 14276 Highway 41, Cloyne, Addington Highlands, Ontario? What is this property worth in today's market? What are "closing costs", and how much? What steps should I take when looking for a home loan? What price home can I afford? Is my credit good enough to buy this house? What are the best mortgage options for me? How flexible is the seller on the asking price? 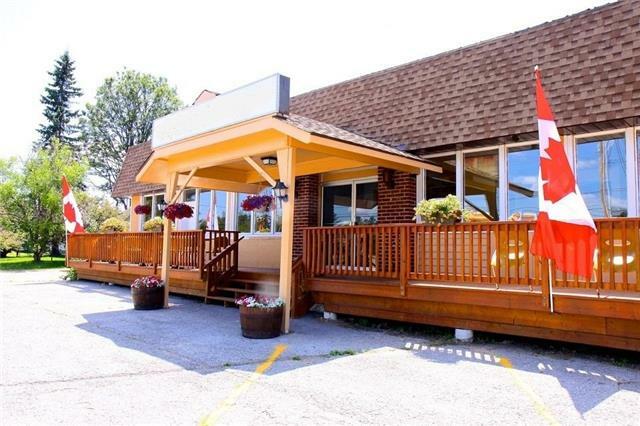 How low can I consider offering for 14276 Highway 41, Cloyne, Addington Highlands, Ontario? Excellent Opportunity To Own A One Of A Kind 20 Room Motel With Running Restaurant And Liquor Bar With Owners 2 Br Apartment W/ Jacuzzi Bath.All Rooms With 2 Double Beds And Full Bath, Tvs And Microwave,Renovation Done In 2016. New Ac/Heating Units, Windows, New Metal Roof, All New Laminate Flooring Throughout, New Led Signs, New Tvs In Each Room,New Security System With Cameras, & New Water Filtration. Surrounded By Residential, Close To Bon-Eco Provincial Park And Major Lakes. Great Income From Motel And Restaurant. Financial Statement Is Only Available With Offer. Whether you are searching for your dream home to buy or doing your assignment to sell your own home or looking for a business to provide income for your family, eHomz Realty Brokerage is here for you to help. eHomz provides you a comprehensive inventory of 6 homes, condos, townhouses and businesses for sale and rent in Addington Highlands with the strong search tools to help you find what fits your need. eHomz has the most up-to-date set of Addington Highlands real estate listings and gives you the power of searching within the latest Addington Highlands MLS for nearby cities and neighborhoods. If you are interested in the Addington Highlands real estate market and how Addington Highlands has changed over the years, ehomz team of experts who has tremendous experiences working in Addington Highlands area will be in touch with you and send you the accurate and documented statistics. Addington Highlands MLS data shows that the average Addington Highlands home will sell for $295,115 and will be on the market for 64 days. Get in touch with one of our experts to find out more about your dream home today. Find Home in Markham real estate for sale as well as search for homes for sale in Vaughan Real Estate and within the Mississauga and Brampron Real Estate � MLS Listings on eHomz. Use eHomz search to narrow down the properties by type, price, number of bedrooms, bathrooms, garage, parking, basement, size, or other keywords to find the target home. Also you can explore more records in different categories such as Addington Highlands condos or houses for sale in Addington Highlands. Addington Highlands is home to 0 neighbourhoods and communities accommodating people who are interested either in Addington Highlands Rentals to rent Houses for sale in Addington Highlands to own their dream homes. If you're looking for Condo apartments for rent in Addington Highlands or houses for rent in Toronto, we have you covered.